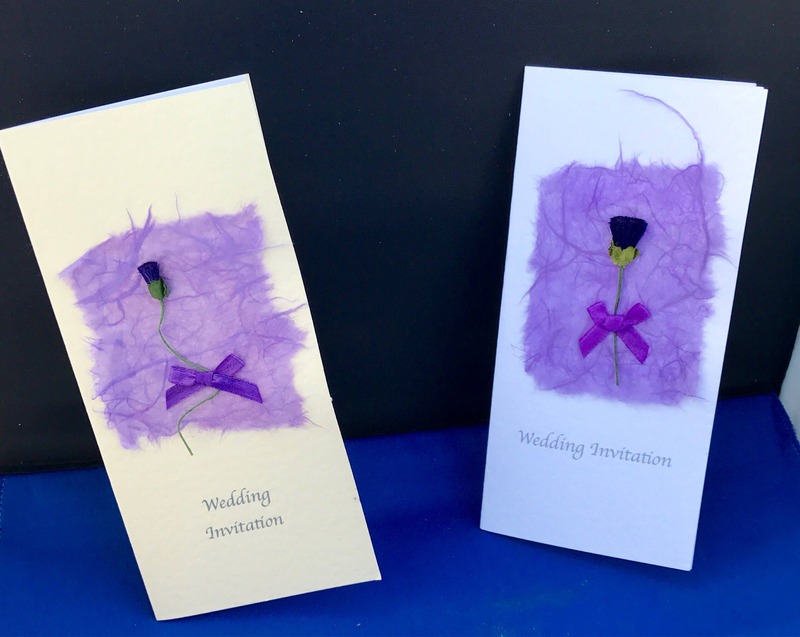 Scottish Wedding Stationery (Thistle & Mullberry paper) Handcrafted Day & Evening invitations. 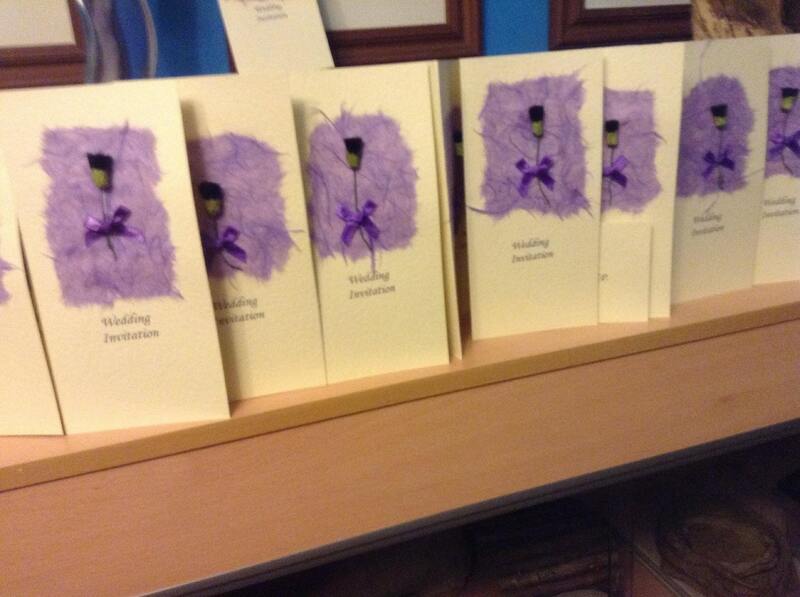 Scottish handcrafted wedding invitation, customised and personalised to order. 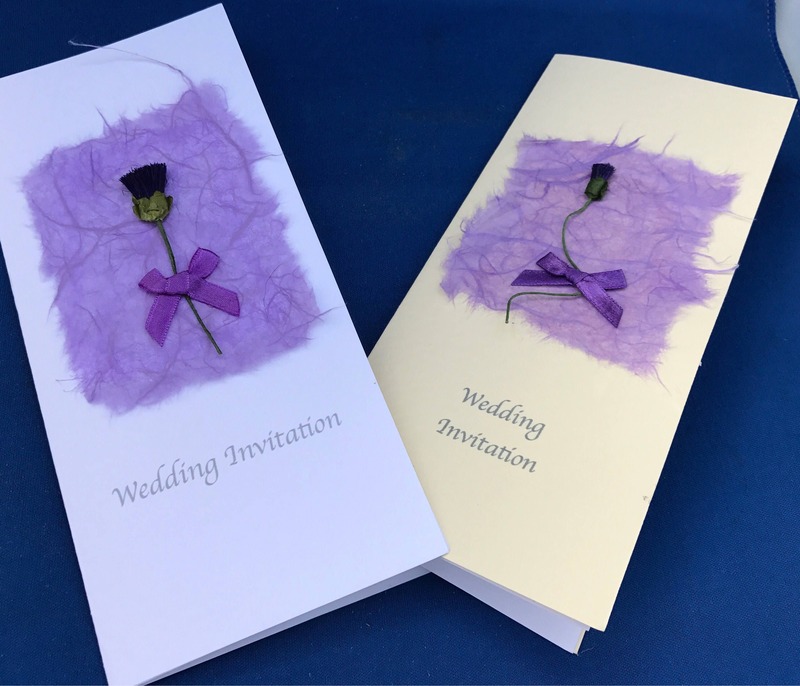 This invitation is made with a mulberry thistleon a background of lilac mulberry paper. With a matching bow. This was to match the couple's colour and theme however these could be interchangeable to match your own preferences. Thistles are available in red, mulberry, lavender. Bows are available in several colours, and tartan. Mulberry paper is available in several options. You can request a custom order by emailing me at aileen [!at] alba-Inspirations.com or using the 'request custom order' option. The card is DL in size - folded the card is 8.3 inches by 3.7 . The card shown is white hammered finish, however it could be done in cream, or with a linen finish. 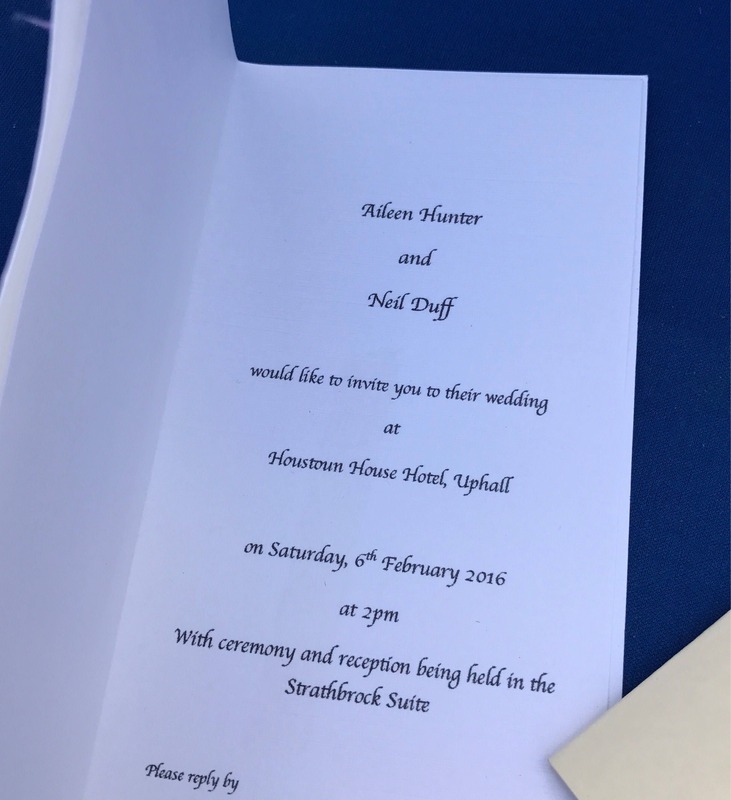 I can suggest traditional or more informal wording or you can chose your own. After all it's your day! This is a high quality, but extremely good value for money that will be specially made to your own wishes. This price is for the cost of a sample, however will be deducted from any order.